Rent Urban Studio | Corporate Events | Wedding Locations, Event Spaces and Party Venues. Urban Studio, located in the heart of the Pearl District, is your wedding ceremony and reception venue. 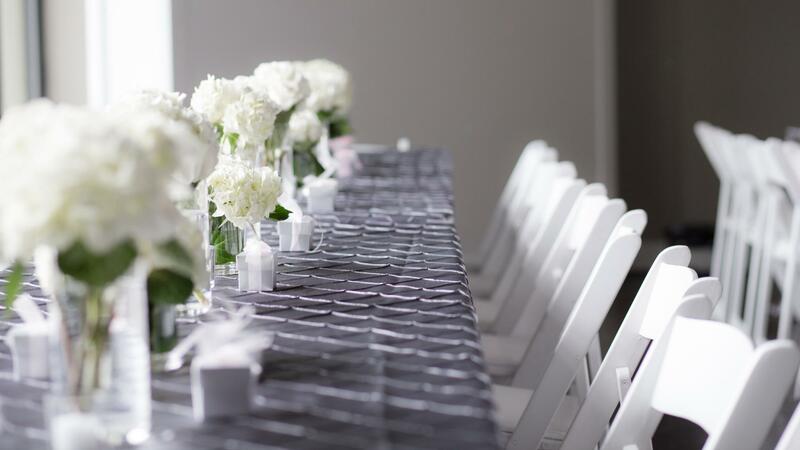 Contemporary and chic, Urban Studio is the ideal location for your special day. With two spacious areas, including a sunken grand floor and cocktail reception area, Urban Studio can accommodate up to 300 people standing, and 200 for a seated reception. Both areas are separated by a stunning wrap around bar dressed in dark bamboo and sparkling white granite. Vaulted ceilings, soaring windows and natural light create a light and airy ambiance, bringing a quiet elegance to your wedding. Located on the Portland Streetcar line, and in the hub for restaurants, bars, shopping, and steps from downtown hotels, Urban Studio is the perfect spot for out of town guests. With a flexible floor plan, Urban Studio can accommodate your guests in a variety of ways including ceremonies, dinner receptions and cocktail parties. Of all life's great events, your wedding celebration may be the most personal, exciting and important. Whether planning a casual afternoon reception or a formal evening affair, the staff at Urban Studio take pleasure in making your special day magnificent. From time honored traditions to unique and original twists, your wedding should reflect your lives and linger in your memory. That's why we believe nothing less than perfection will do. Even the slenderest of details is our priority. Nothing pleases us more than a wedding remembered, long after the food is digested and the decor removed. Urban Studio is ideally suited for that chic, contemporary wedding. Whether you choose to have your wedding ceremony and reception at Urban Studio or just your reception, we aim to meet your needs.